As many of you already know, Chad Smith recently suffered a spinal cord injury during a bull riding event in Kissimmee, FL. 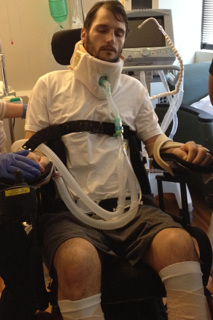 Following his accident, Chad was diagnosed as a level C4 quadriplegic. He underwent surgery in Orlando to relieve pressure on his spine, and was transferred to Shepherd Center in Atlanta, GA for rehabilitation. It is unknown how long he will be in Atlanta, or what his needs will be once he returns home. Before the accident, Chad was very active and there was rarely a moment that he was found sitting still. He loved playing volleyball, baseball, cards and guitar but his biggest passion was bull riding. Chad is one of the most well-mannered, honest cowboys you’ll ever meet. 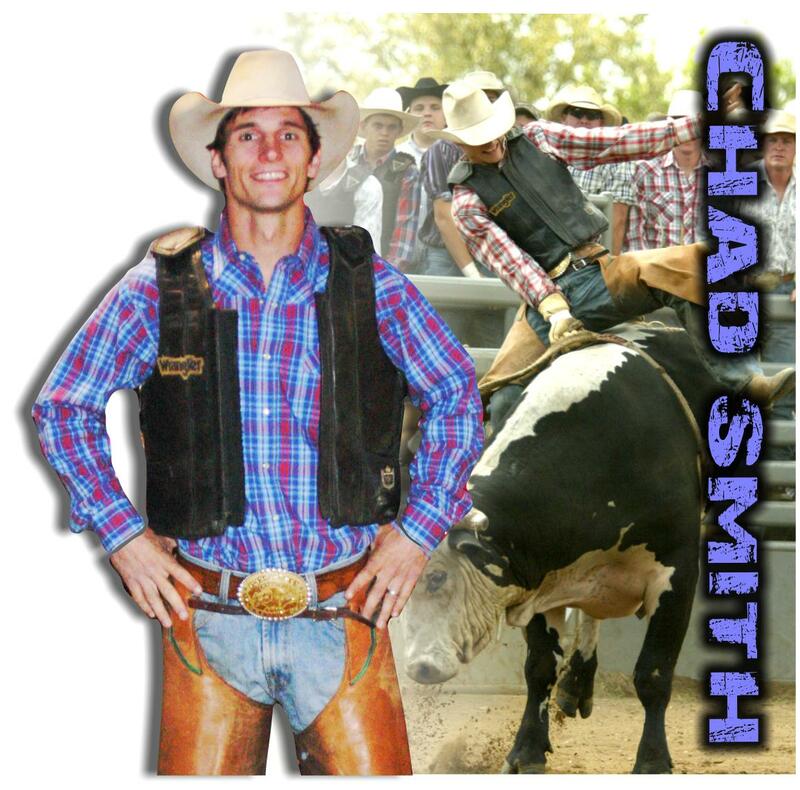 Chad is a member of the SSBR (Southern States Bull Riders) and the PRCA (Pro Rodeo Cowboy Association). In addition to his talents as a Bullrider, he is also a Singer/Songwriter whose music can be found on YouTube. Songs like Love This Life and Time Aint a Cowboy’s Friends are a couple of his best. More importantly, Chad is an excellent husband, son, uncle, brother, friend and he needs our support right now. To help with the rising medical expenses and recovery-based therapies, a fundraising campaign in Chad’s honor has been established with Help Hope Live, a nonprofit organization that has been assisting the transplant community for 30 years. In 2000, they expanded their mission to include those who have sustained a catastrophic injury. All contributions are tax-deductible to the full extent allowed by law, are held by Help Hope Live in the Southeast Spinal Cord Injury Fund, and are administered by Help Hope Live for injury-related expenses only. Please consider making a donation. Dear Chad, I have friend that is paralyzed from the chest down. Through hanging out with him I have realized that god made all this happen for a reason and it wasn't punishment. It was love. You are paralyzed because god loves you and wants you to realize that there are other ways of walking. He's telling you right now,you are okay,you are loved . It he caused you to be paralyzed, not the devil. He paralyzed you to show you that you're not in control. Get ready because your life is about to change and you might like it more than you think. Chad, We love you and are praying for your recovery to be as strong and helpful as you always are to everybody you know. And you know we are only a phone call away if you need to talk to somebody or need something we will try are best to get it to you. We love you a lot and hope to see you soon. Chad,we are praying for your recovery and the strength you will need.You are in my prayers daily! Chad, Please know that you are in my prayers daily. May Jesus' grace and peace rest upon you as you recover. God is good, all the time!! He loves you Chad, and cares about your every need. Blessings!! Chad please know that you and your entire family are in our prayers daily. We are praying for a speedy recovery and praising our Lord and Savoir for answered prayers already, with more to come!! Chad, my deepest heartfelt good wishes for your recovery. May you feel the comfort of our many prayers.